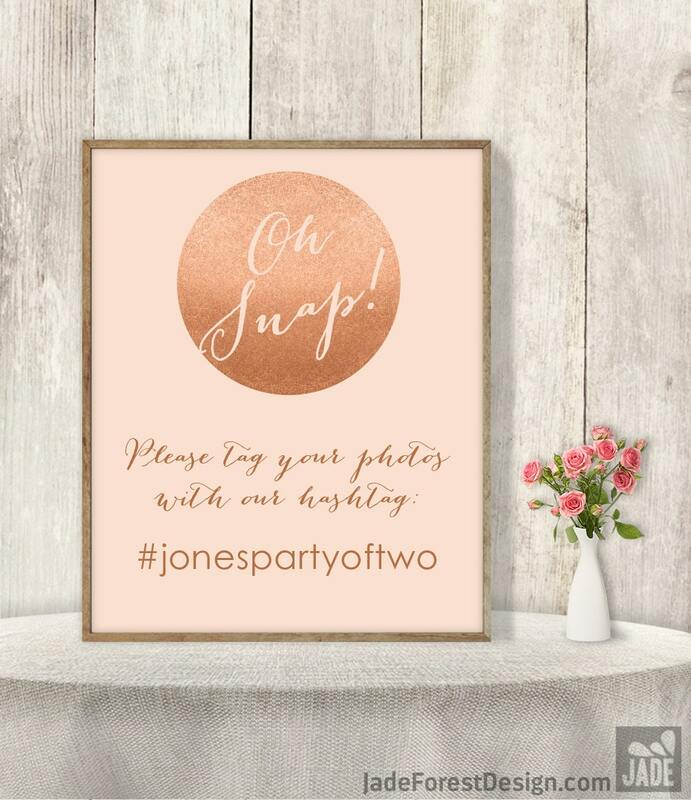 This beautiful Wedding Hashtag Sign is just what you need to add a special touch to your upcoming wedding. It will be customized just for you! 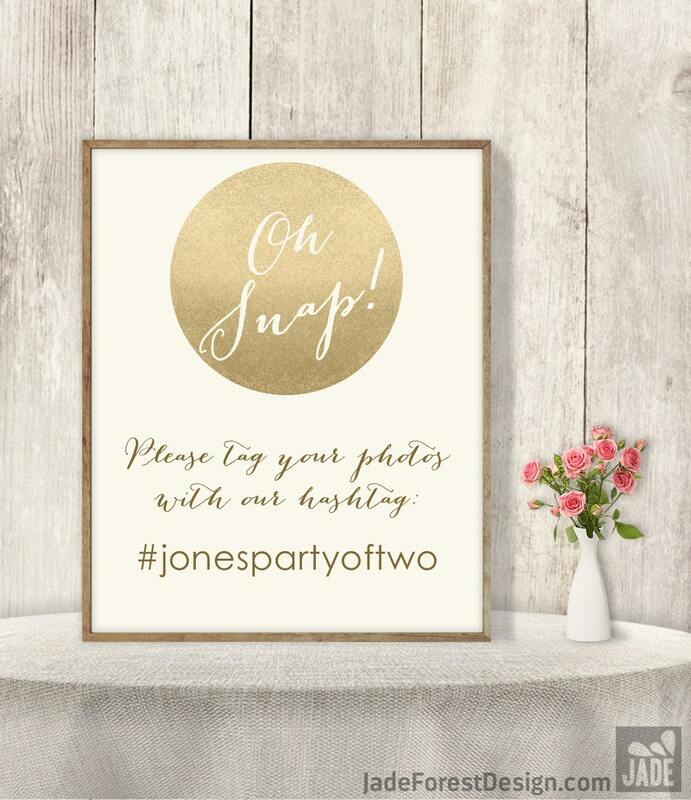 ➤ PRINTABLE ➤ You will receive a personalized, high-resolution file at the email address you have registered with Etsy. You can take this file to your neighborhood print shop, or upload to the online printer of your choice. ➤ PRINTED ➤ You will receive an emailed proof. Once you approve it, your design will be printed on your choice of paper, foam board, or canvas, and shipped to you. I will create your custom, personalized design with the info you provide in "Notes to Seller" at checkout. All wording and colors can be fine-tuned to match your specific needs. This attention to detail is what creates perfect, professional results! Scroll to the bottom of this section ↓ for step-by-step instructions. Standard shipping within the United States is FREE, and includes tracking! Signs arrive 6-8 business days after your approval of the emailed proof. ➤ BUSINESS DAYS ➤ Business days do not include weekends or holidays. ➤ REVISIONS ➤ Revisions are NOT factored into the timing above. Each round of revisions can take up to 2 business days. ➤ COLORS ➤ No extra charge. Please specify color changes in the "Notes to Seller" box at checkout. 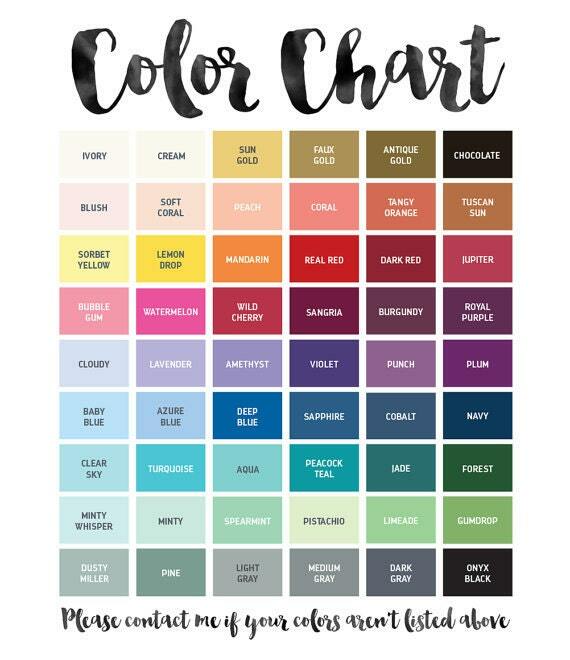 Refer to the color chart above, or send me your custom colors. 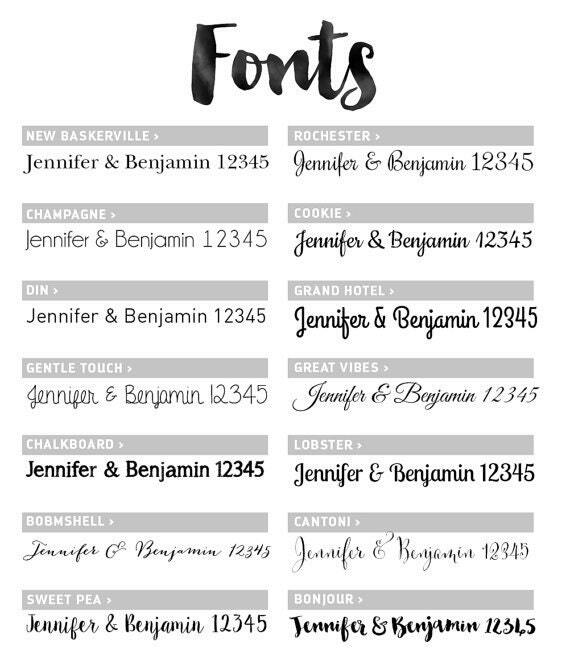 ➤ FONTS ➤ No extra charge to use fonts shown in the font chart above. Please specify font changes in the "Notes to Seller" box at checkout. ➤ WORDING ➤ No extra charge for minor wording changes (such as "Smile!" instead of "Oh Snap! ", adding a date etc). To customize wording further, see the "Your CUSTOM TEXT sign" link under "MATCHING ITEMS" below. Looking for something different? No problem! Just contact me for custom orders. I can design almost anything you might need for your special day! All sizes listed in inches. Choose your size carefully, as there will be an extra charge to resize after the design has been created. ➤ PAPER ➤ Printed on heavyweight matte paper using archival-quality inks. Ships rolled in a tube, best for framing. ➤ FOAM BOARD ➤ Printed on heavyweight matte paper using archival-quality inks, and mounted on 3/16" clay-coated white foam board. Eliminates the need to frame your sign, ideal for displaying on an easel. ➤ CANVAS ➤ Printed on 3/4" wooden-framed, gallery-wrapped canvas. Great for displaying your sign on an easel, or for hanging (hardware not included). Especially recommended for outdoor display, makes a great keepsake. ➤ DIY PRINTABLE FILE ➤ Bring file to printer of your choice. Some suggestions: Staples, OfficeMax, Walmart, CVS, Walgreens, Vistaprint.com, CanvasPop.com, Zazzle.com, Shortrunprints.com. I am often asked how to print these. This design does not use metallic ink, or actual glitter. It's a digital faux metallic image, which imitates the look of metallic ink/foil, including the highlights and shadows created by light. It is printed on any regular white background. My customers have been very happy with the results this creates. Two rounds of revisions are included if needed. Please note that multiple VERSIONS are not included as revisions. 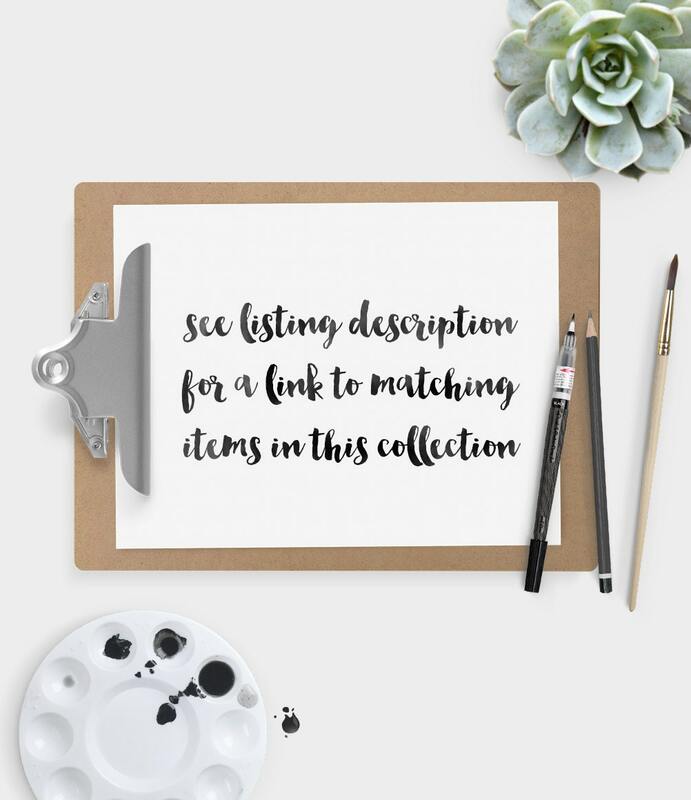 ➤ See the "CUSTOMIZE IT" section above with questions about color, font, and graphic changes, and include any modifications in "Notes to Seller". If no special note is made, your design will match the colors and fonts shown in the main photo above. I will send your completed design to the email address on file with Etsy. See FAQs below to check how soon you can expect it. 4️⃣ If you choose a PRINTED SIGN option, I will print and ship your sign once you approve the emailed design. If you choose the DIY PRINTABLE FILE, you will receive a high-resolution, printer-quality file, ready to print locally. I'll also include printing tips and suggestions. Great additions to our reception decor! Quick turnaround and easy to print!